For approximately the past 10 years the FLCC has offered a weekend of bike touring especially for young families and kids, called the Young People's Bike Tour. We typically had 30 to 135 participants on these tours, which required about a dozen volunteers and a lead organizer, to carry out successfully and safely. In fact, the Young People's Bike Tour was so successful that it served as the model and inspiration for Bike Travel Weekend, an annual event organized by the nationwide non-profit cycling organization the Adventure Cycling Association, which had over 9,000 participants in 2018. The original organizers of FLCC's Young People's Bike Tour have moved on to other endeavors. 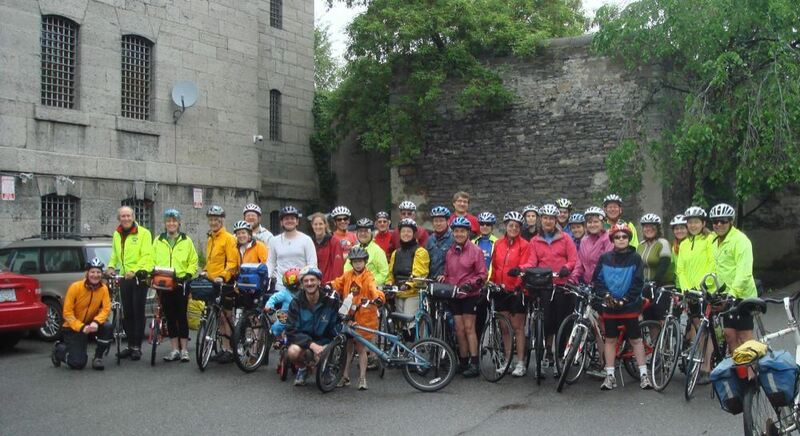 Therefore, for 2019, and until a new organizer steps up, the FLCC recommends that families from our area join up with groups in other locations that are organizing events for the first weekend in June, and are listed on the BikeTravelWeekend.org website. For example, one such trip, the Cape Cod Bike Travel Weekend looks like it will be a great trip, very much in the spirit of the Young People's Bike Tour. We take advantage of the unofficial start of the summer by heading to a great cycling destination for a weekend of daily bike rides. Recent destinations have included Cape Vincent/Thousand Islands, Ottawa, Montreal, and Niagara-on-the-Lake. We’ve stayed in a variety of indoor group accommodations, ranging from college dorms to hostels to hotels. We try to do some group meals to help keep costs low. There will be a choice of bike rides of various lengths. Check back in the early spring for signup details for the upcoming tour.